And marvel I did. My God. Have a look – ingredients and buildup here, the shocking conclusion after the jump. 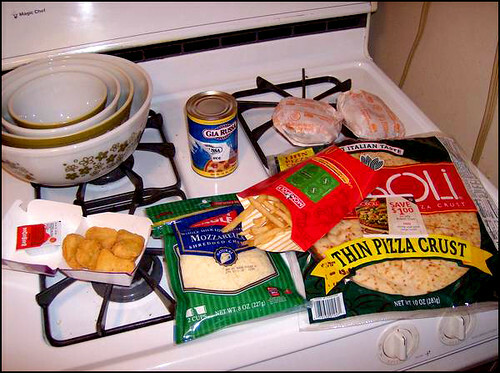 When I worked as a pizza cook we deep-fried everything: cucumbers, strawberries, a pencil. 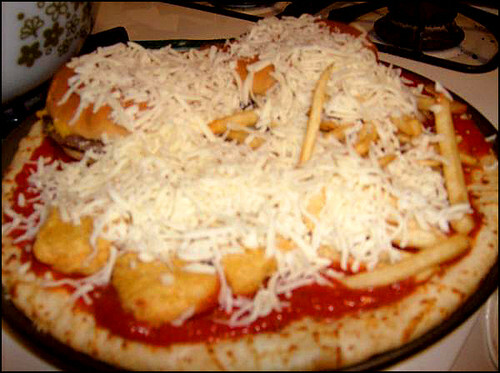 Once I battered and deep-fried some bacon and topped pizza with it. And yeah, it was both gut-curdling and awesome. But this. This is something else entirely. 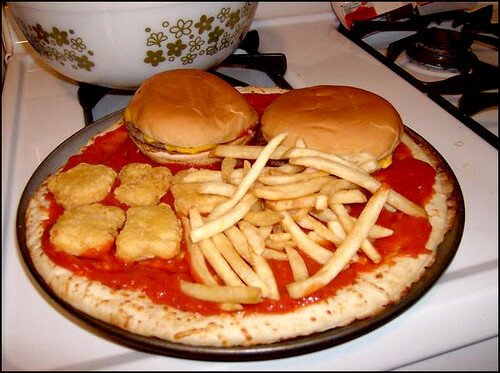 We never would have thought to put cheeseburgers, fries, and McNuggets on a pizza. 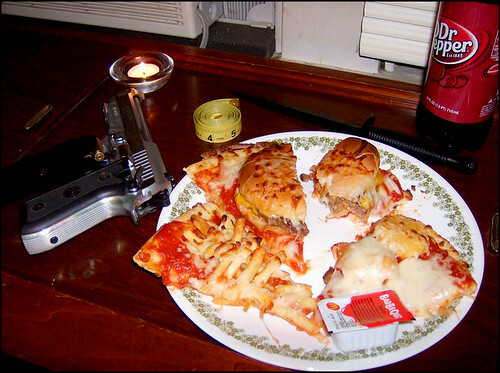 This is a culinary Frankenstein cooked by Bizarro, a crude combination of deliciousness into an artery-jamming fatty Voltron. 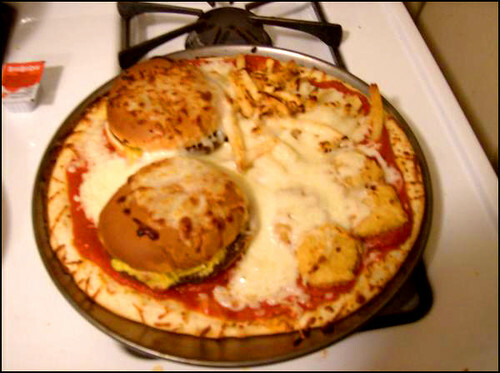 The thing is, I would totally eat it. You would, too, stop lying. The cheeseburger parts, the McNuggets — you know that’d be tasty. The fries might be the sleeper hit. If this thing were in my house, I’d totally roll my eyes and groan and make a big stink. Then my curiosity would get the better of me and I’d sneak a bite when nobody was around. And I mean, you can tell it tastes pretty good. 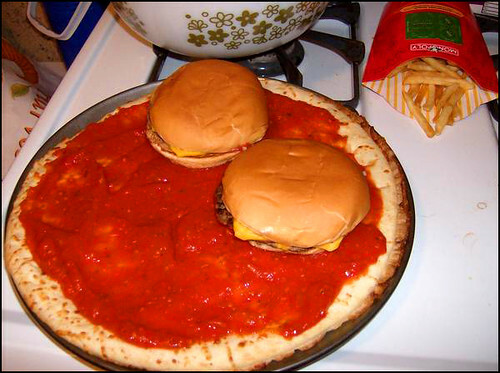 If nobody were home for a day or so, I know I’d end up eating the whole thing, morsel by greasy morsel. It’s the food equivalent of a Real Doll — a revolting, plastic, desperate experience that would just rope you in with tractor beams powered by an evil curiosity. Maybe that’s what the pistol’s for. Not to avoid the inevitable heart attack, but as an easy way out from the SHAME of it all.